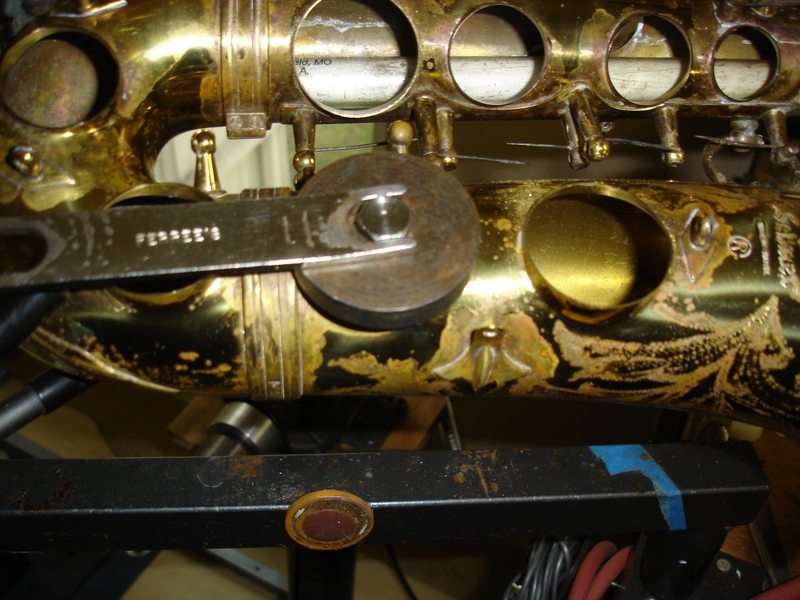 One more of the tedious tasks in repadding an old saxophone is checking and correcting the tone holes. Any distortion in the surface has to be corrected for, or the pad will never seat perfectly. There is nothing exceedingly difficult about this part of the job, but it is physically demanding. We start with a black marker, and color the surface. 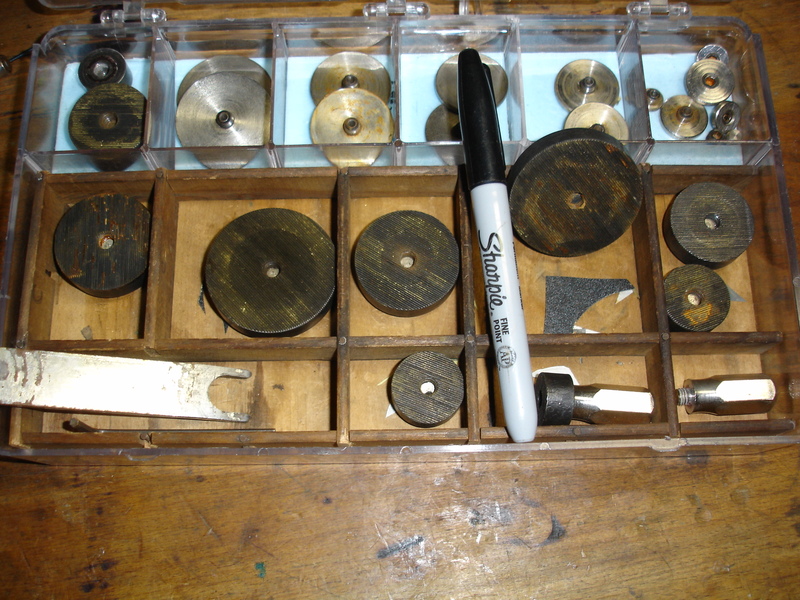 Then, lightly apply the file and check to see if it is wearing the tone hole evenly, or if there are low/high spots. 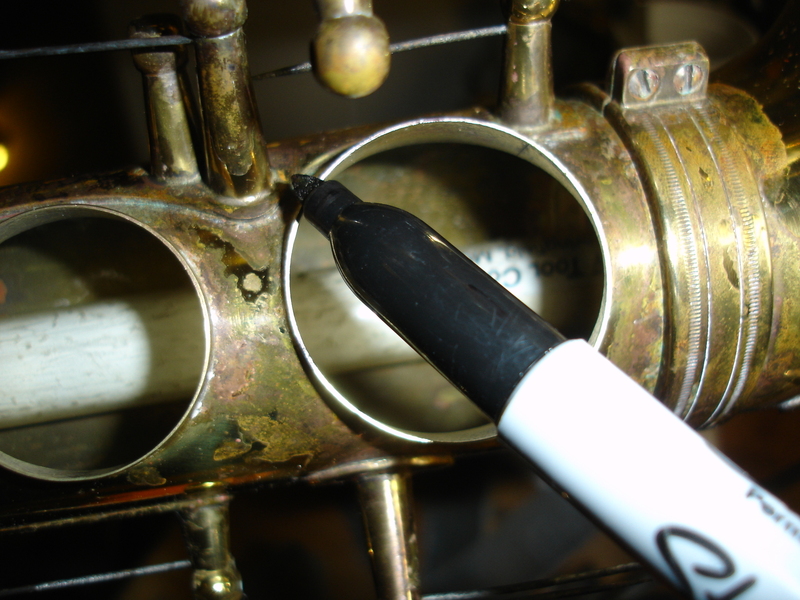 In extreme cases, a dent rod and ball is used to raise up the low spots. The deviance on this horn is not that great, it will just require a slight bit of filling, followed by allot of sanding. The following pictures are of the initial part of the process, pictures of the sanding will come later. Marking the surface of the toneholeSetting the guide for the file.